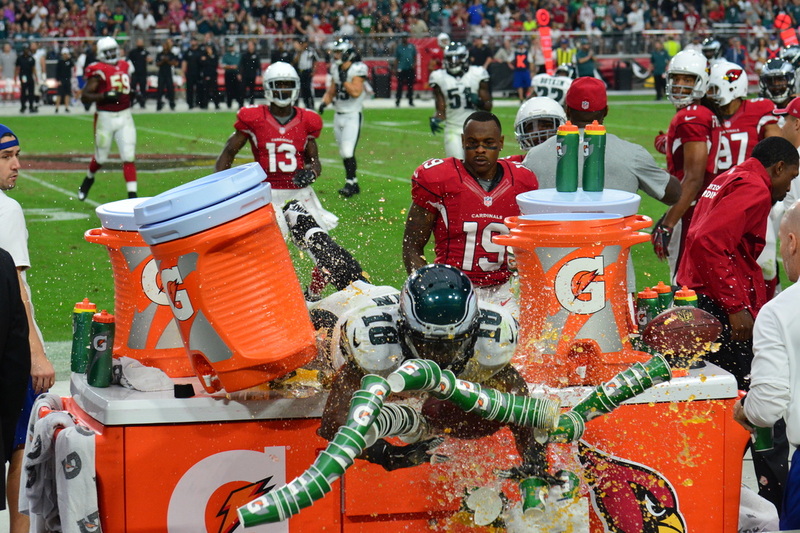 Philadelphia Eagles wide receiver Jeremy Maclin crashes into a table of Gatorade in an October 2014 football game vs. the Arizona Cardinals. Quinnipiac forward Kellen Jones celebrates after scoring a goal in the 2013 Frozen Four vs. St. Cloud State. 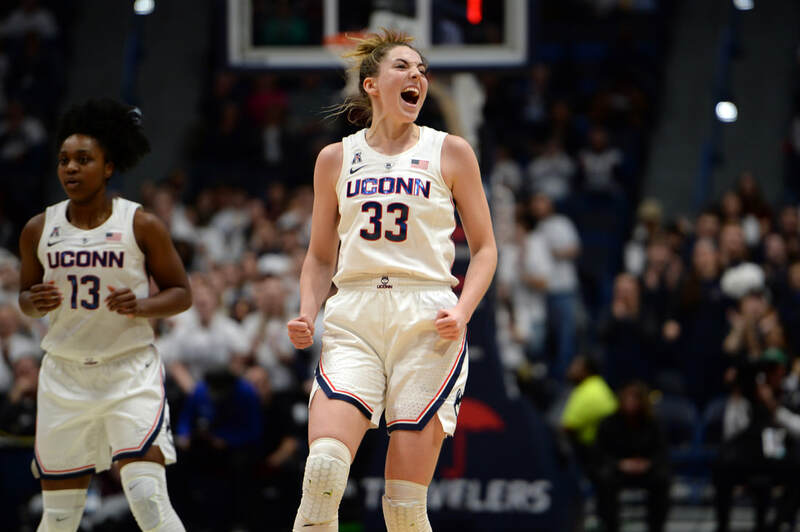 UConn's Katie Lou Samuelson reacts after teammate Napheesa Collier makes a basket in a February 2019 game against South Carolina. 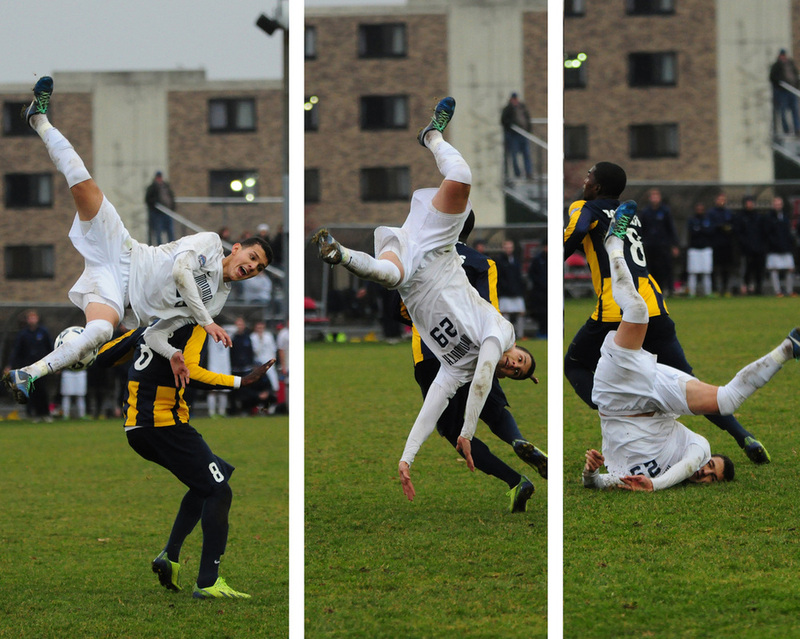 Monmouth's David Acuna Camacho falls to the ground after going for a header in the 2013 MAAC championship game vs. Quinnipiac. He was OK and remained in the game. Miami's Louie Belpedio dives and crashes headfirst into the boards for a stick save in the third period of the East Regional vs. Providence in March 2015. The puck rang off the post to prevent an empty-net goal and Belpedio crawled to the bench once the Red Hawks sent the puck into the other end. 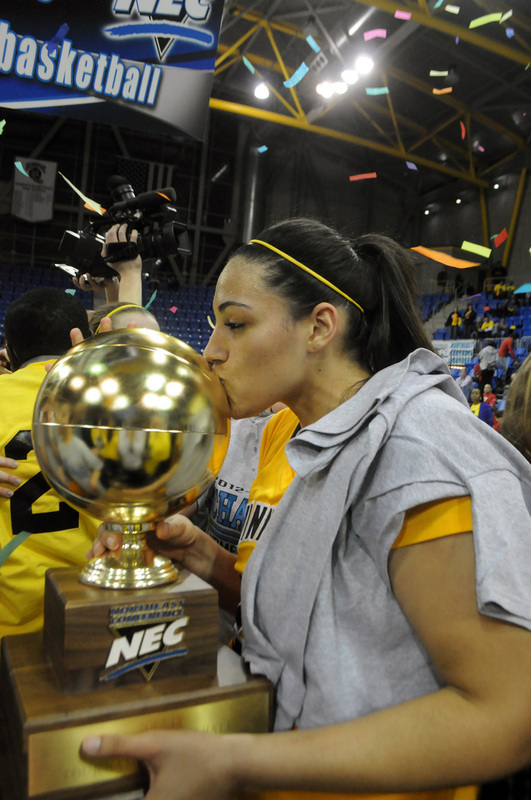 Quinnipiac forward Brittany McQuain kisses the championship trophy after the Bobcats win the 2013 Northeast Conference title. 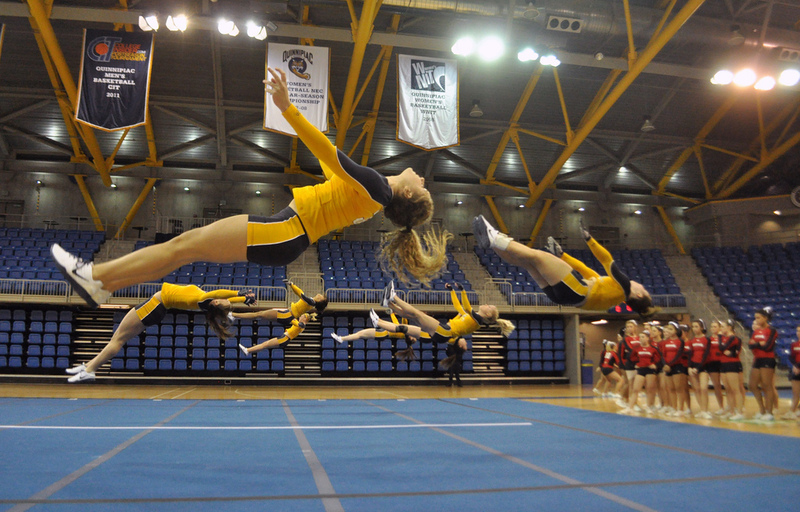 Eight Quinnipiac players flip in the air in the tumbling heat of the compulsory event of an acrobatics & tumbling match vs. Maryland in February 2012. 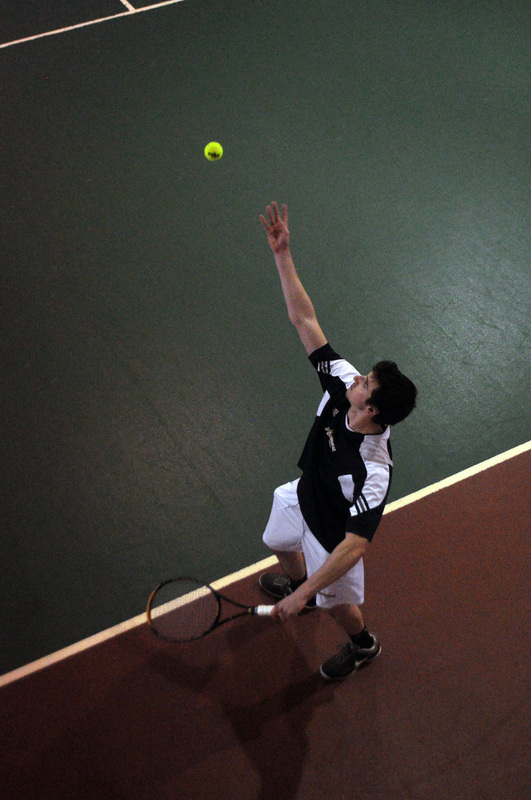 Garrett Lane prepares to serve during a tennis match in February 2012. New Blue Rugby's James Whelan evades three Western New England College players in a snowy game in October 2011. 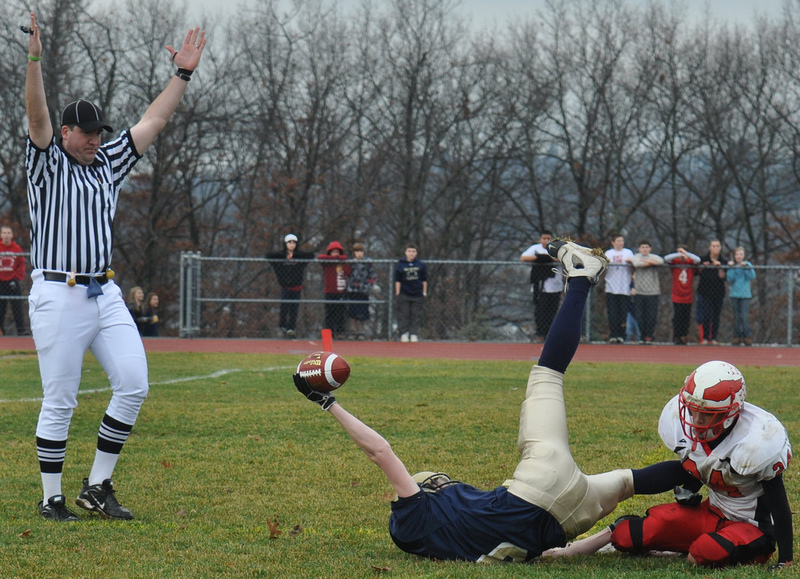 Shrewsbury's Alex Marshall catches a touchdown pass in a game vs. Milford in November 2009. 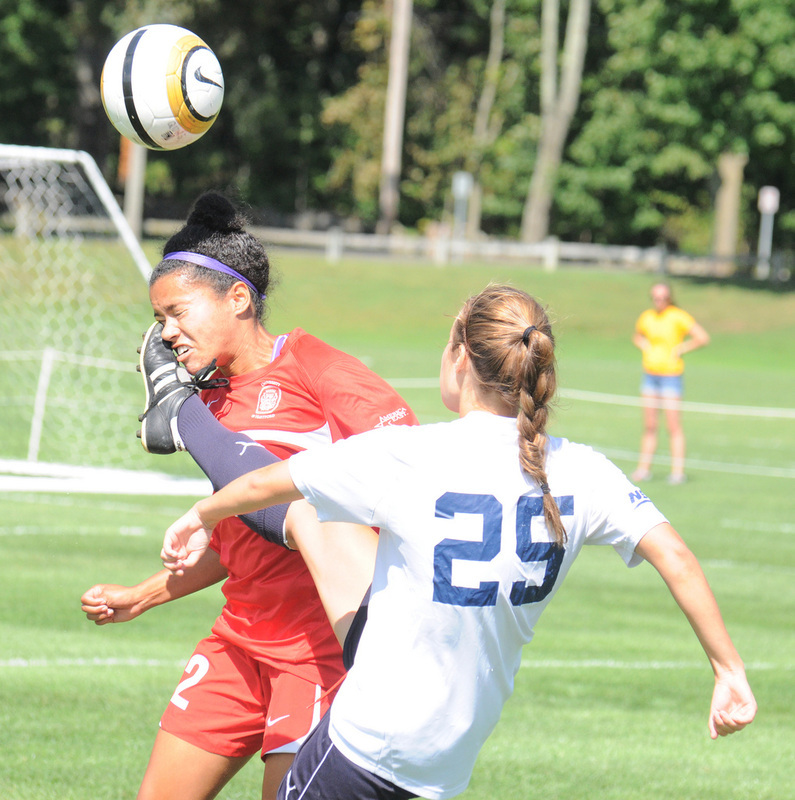 Quinnipiac's Amanda Barroca vies for the ball in a September 2012 soccer match. 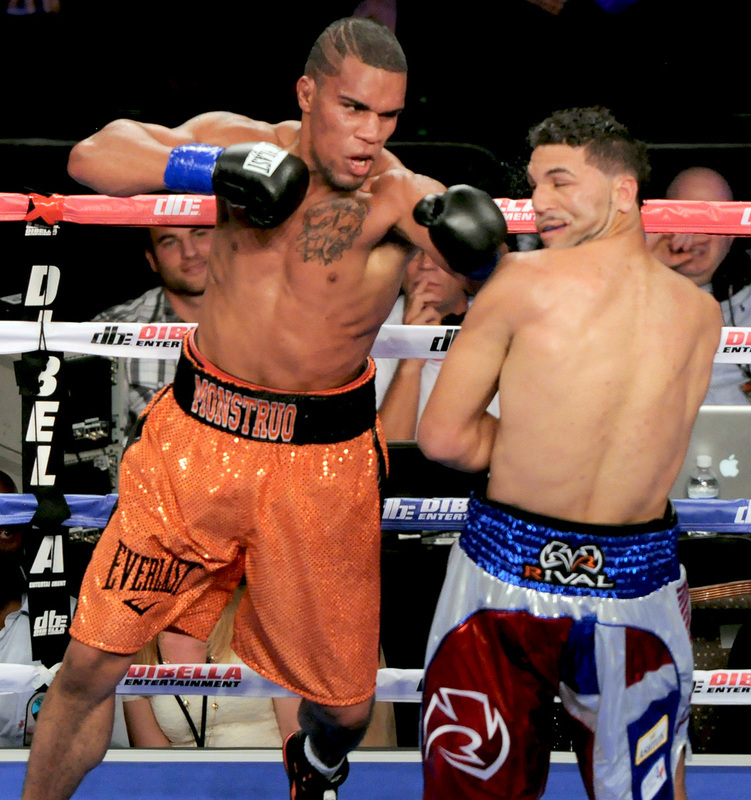 Jason Escalera punches Edwin Rodriguez in HBO's Road to Glory in September 2012. 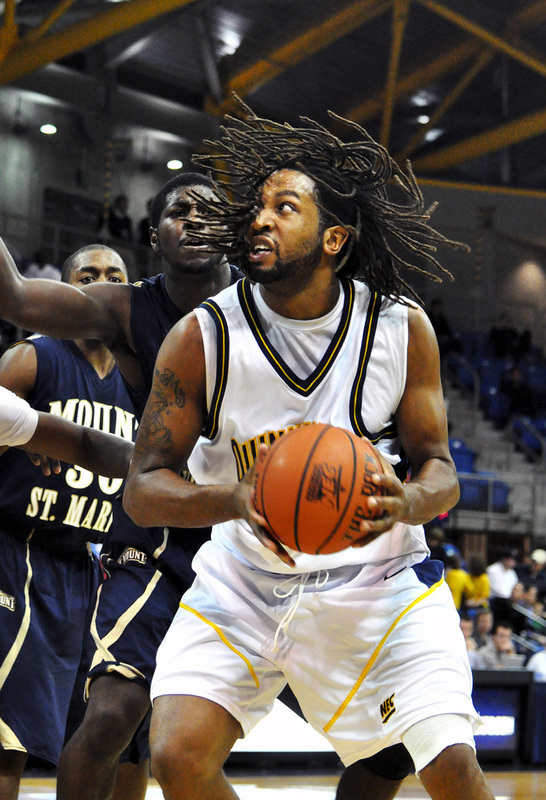 Quinnipiac senior forward Justin Rutty drives to the hoop during a game vs. Mount St. Mary's in December 2010. Three Wisconsin players take a selfie after winning the 2019 national championship. 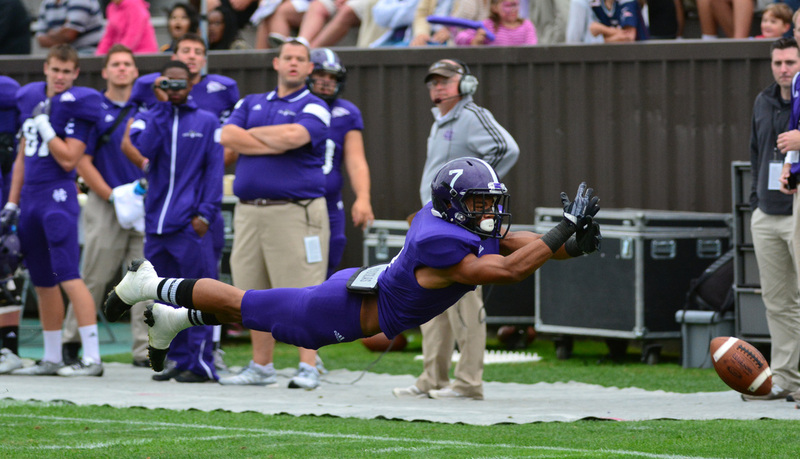 Holy Cross wide receiver Kalif Raymond dives, but cannot come down with the ball in a September 2014 game vs. Central Connecticut State University. 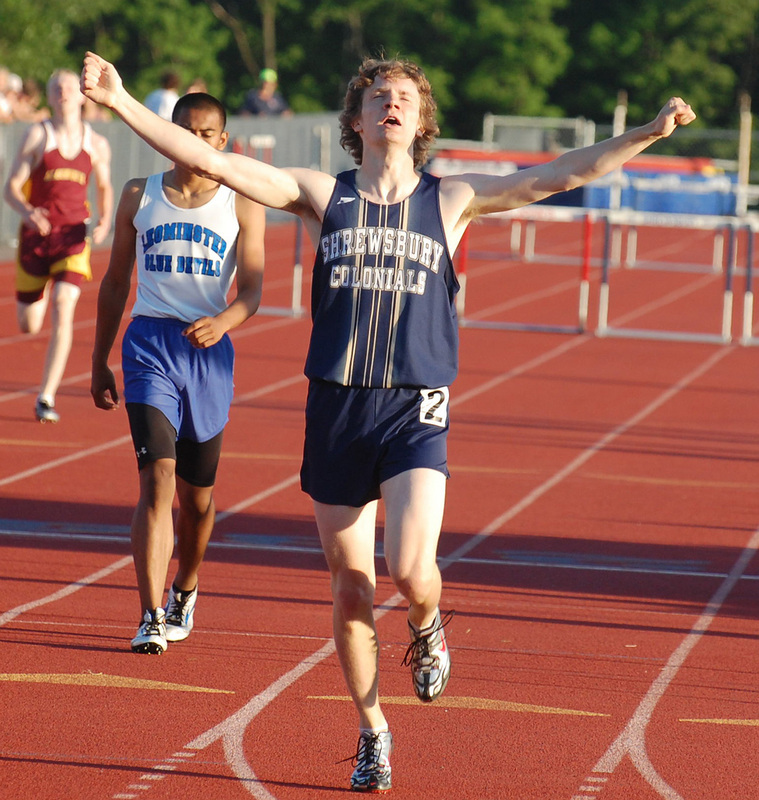 Shrewsbury's John Thompson celebrates after winning a race in May 2009. 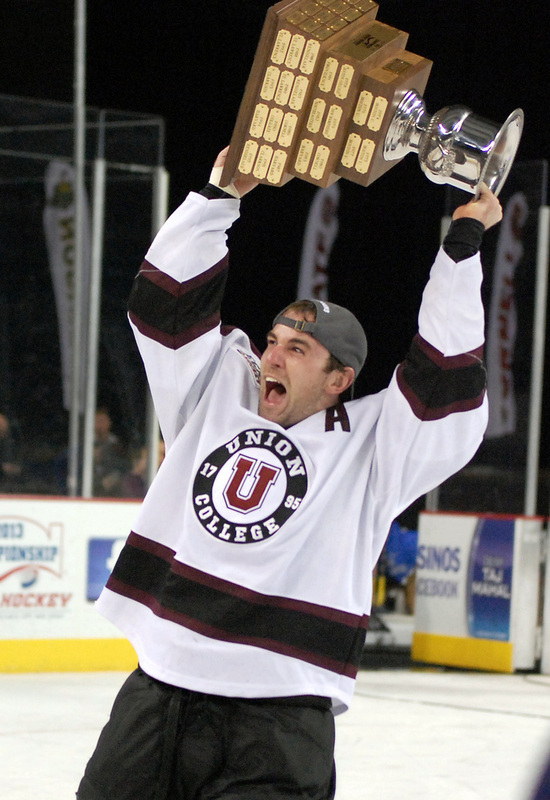 Union's Greg Coburn hoists the ECAC Hockey championship trophy after the team wins the league in March 2013. 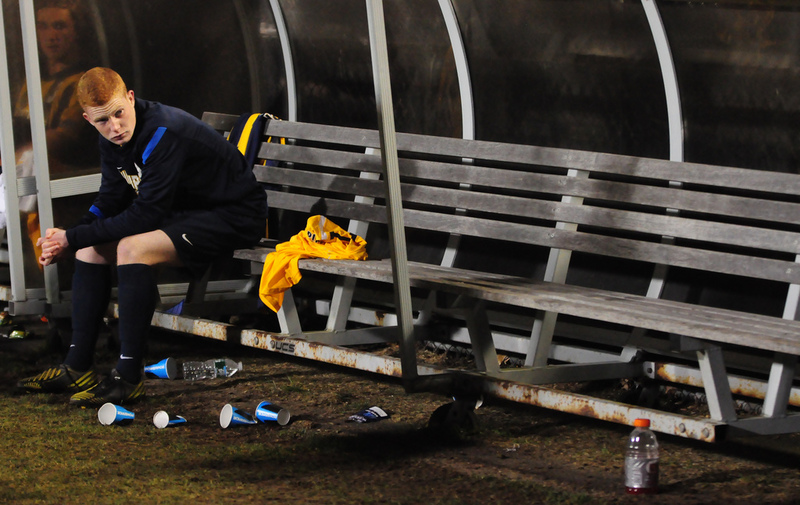 Quinnipiac's James Doig sits on the bench after the Bobcats lose to UConn, 2-1, in the first round of the 2013 NCAA Tournament. 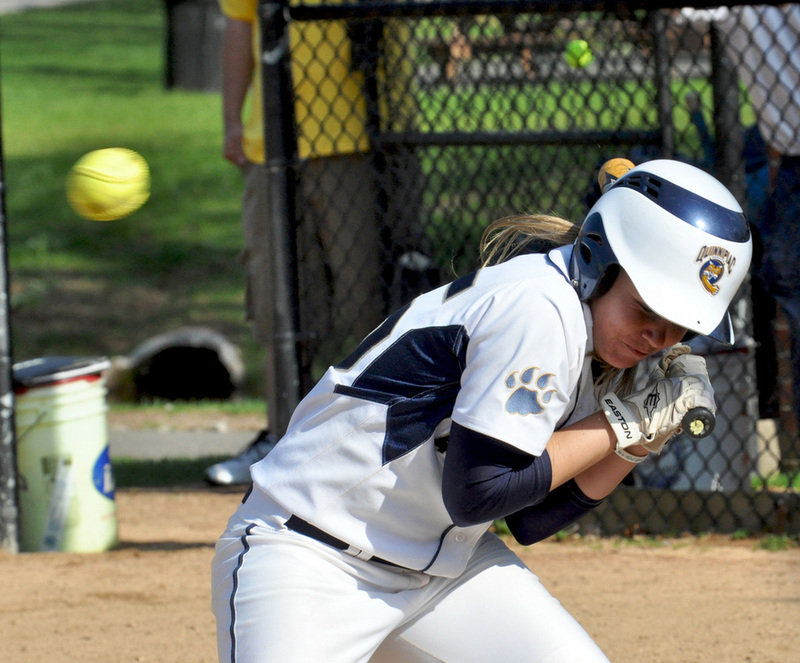 Quinnipiac's Kim Brzezinski tries to dodge a softball during a game in April 2011. Shrewsbury's David Finlay wins a face off during a game vs. Saint John's (Shrewsbury) in May 2009. 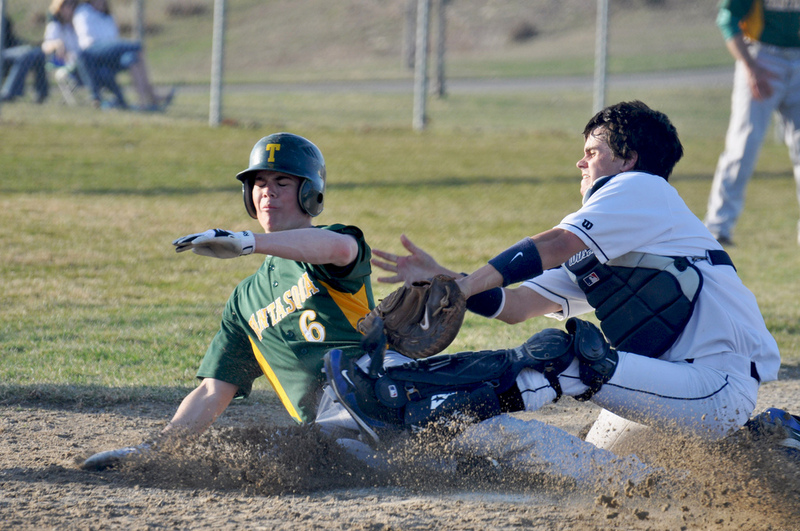 Shrewsbury's Trevor David tags out a runner during a game vs. Tantasqua in April 2010. 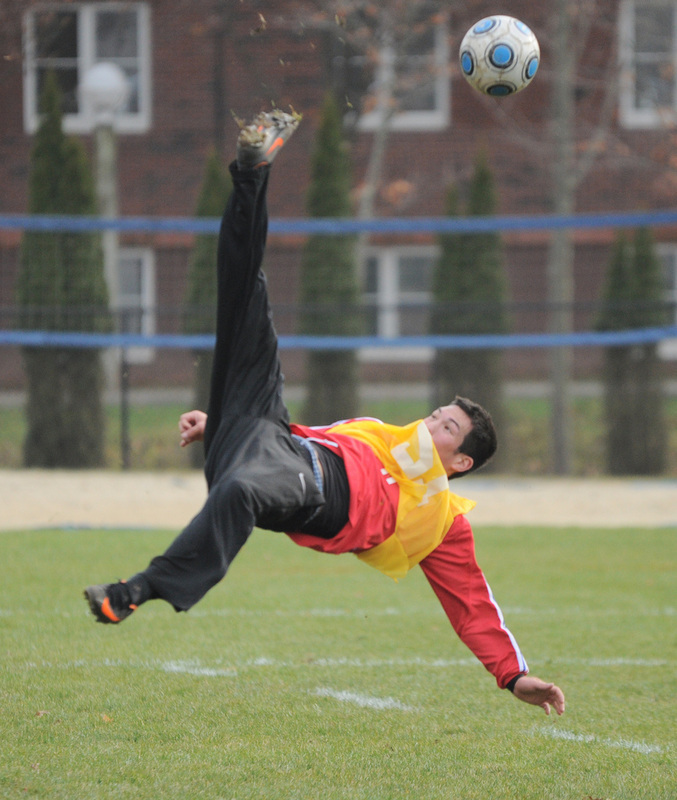 Quinnipiac student SJ Carlson does a bicycle kick during the intramural soccer semifinals in December 2012. 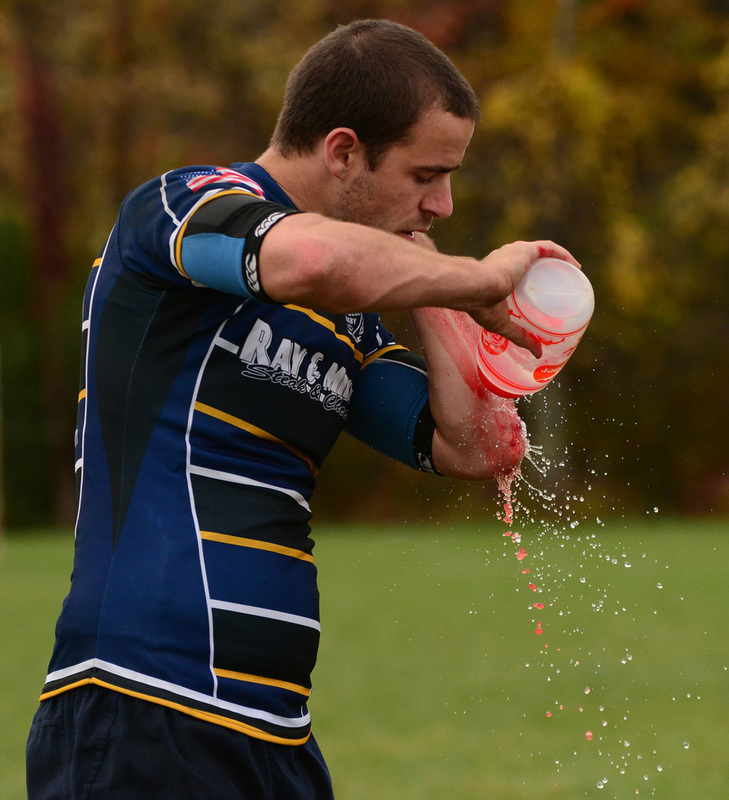 New Blue Rugby, independent from Quinnipiac University, doesn't have a head coach or any trainers, but that doesn't stop senior Marc Villalongue from washing blood off his arm with a water bottle and returning immediately to an October 2013 game vs. Hartford. 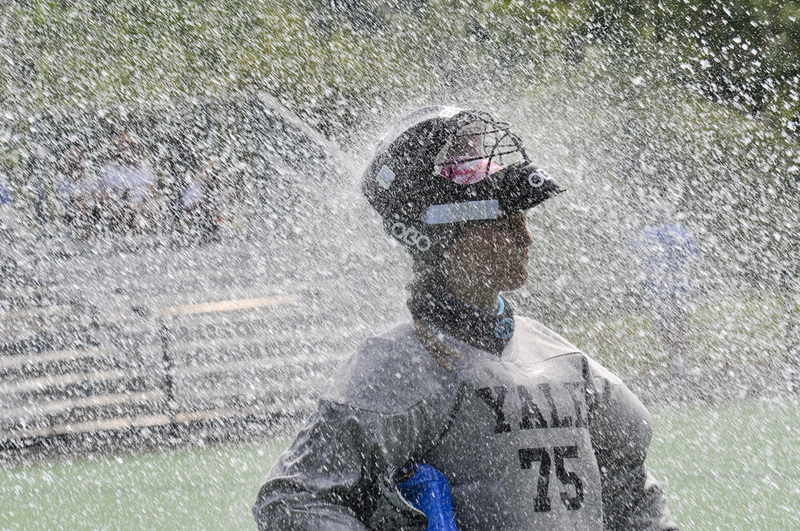 Water cannons go off and land over Yale field hockey goalkeeper Heather Schlesier in a September 2011 game between Quinnipiac and Yale. 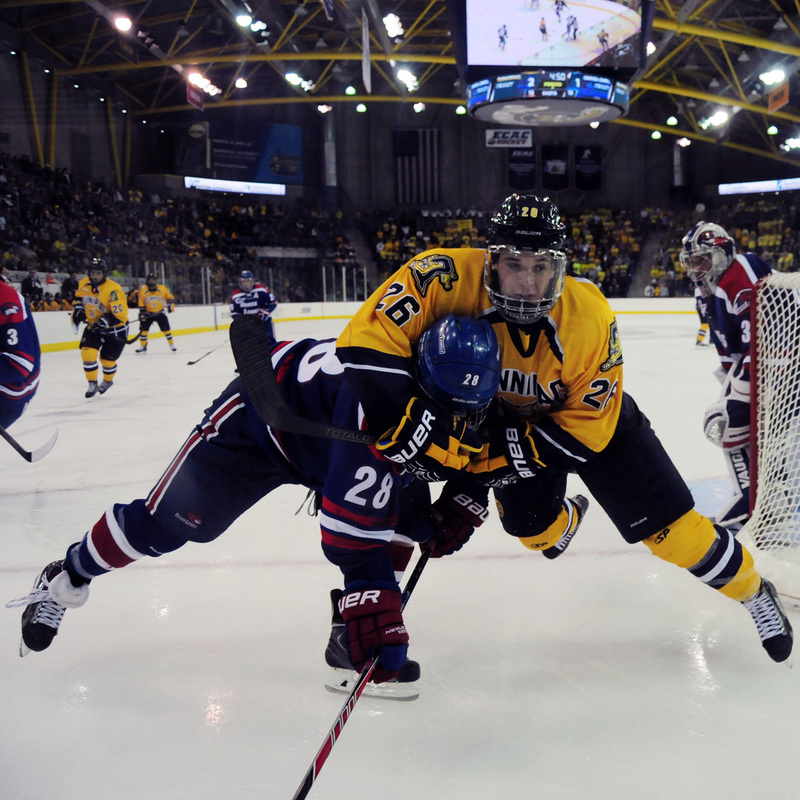 Quinnipiac forward Travis St. Denis and UMass-Lowell's Jake Suter battle for the puck along the boards in an October 2013 game. 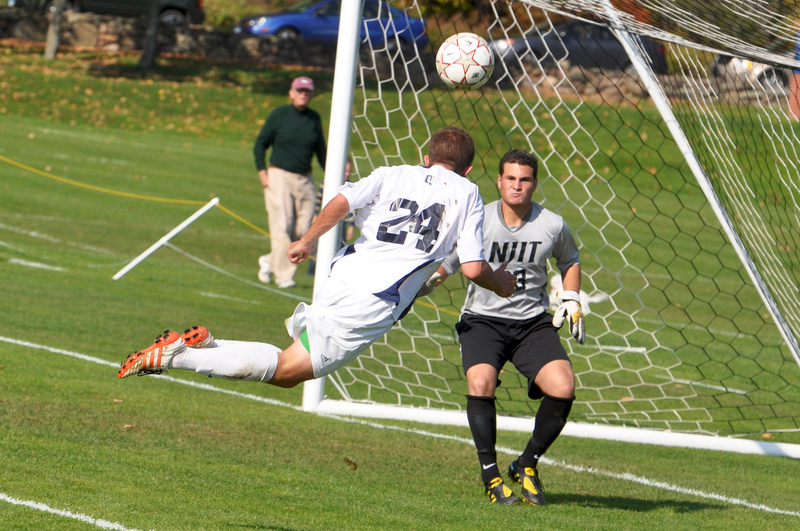 Quinnipiac's Will Cavallo tries to head the ball during a game vs. New Jersey Institute of Technology in October 2010.